Hoi An Green Field Villas & Spa is designed for both relaxing and business trips. 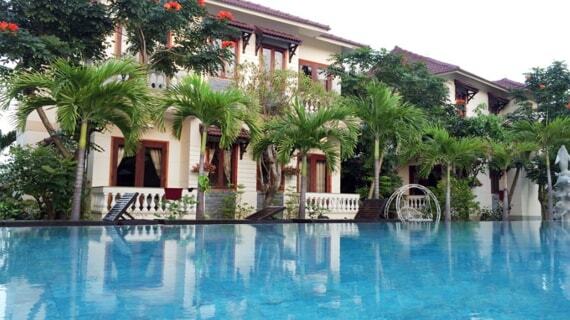 It is located at an ideal position of the Hoi An city center where is one of the famous areas in this city. It is merely distant airport 35 km so it is very easy for tourists to come this 3.5 star hotel from airport. With its convenient position, hotel can approach easily with the well-known tourist destinations of city. 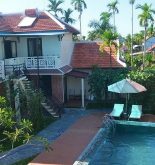 Hoi An Green Field Villas provides the perfect services as well as the great luxurious facilities in order to satisfy all of tourists even the most demanding ones. Besides, hotel also supports bicycle rental, souvenir shop, shuttle service, restaurant and travel service to make sure its tourists feel as comfortable as possible. You only step into one of the 30 living rooms, you can cast off as soon as a stressful long day thanks to a wide range of facilities such as mini bar, LCD or Plasma television, hair dryer, cable television, sitting area. Massage, outdoor swimming pool, garden and spa of hotel are the ideal areas for relaxing and unwinding after a busy day. Although you visit Hoi An with any reasons, Hoi An Green Field Villas is also a wonderful place for your fun and interesting trip. 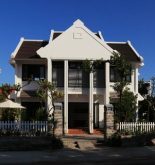 Address: 423A Cua Dai Street, Hoi An, Quang Nam, Vietnam. 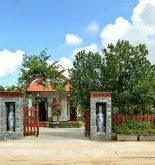 This information has been supplied by Hoi An Green Field Villas.